Clock Hands Sign can be manually adjusted to show the time when you'll be back. 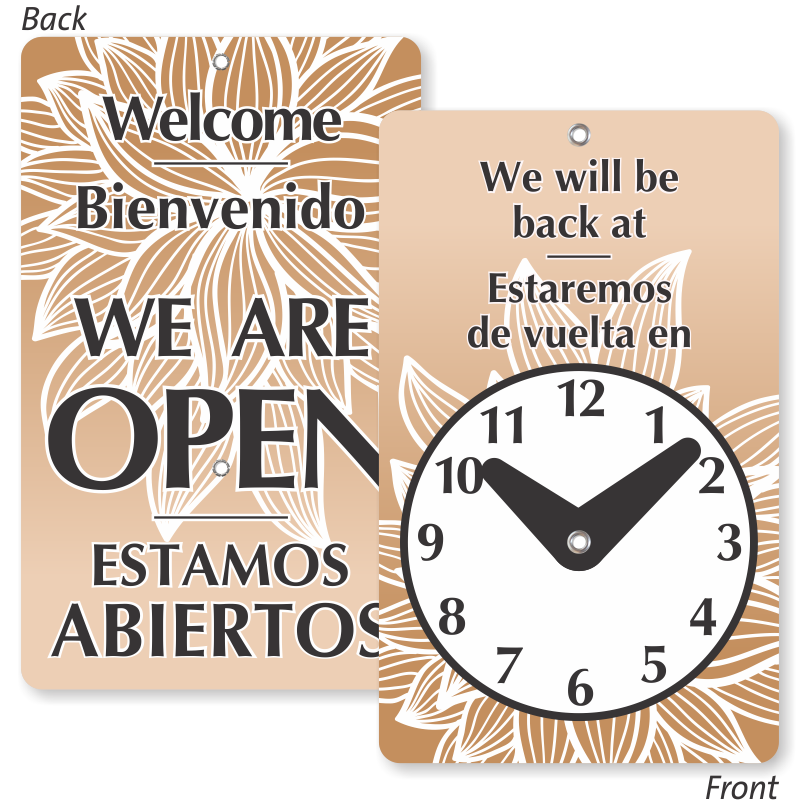 The other side of this Bilingual Be Back Clock Sign says "Welcome We Are Open". Turn the sign as per the situation to show your availability. • Beautiful floral print in the background makes sure aesthetic value is not compromised. 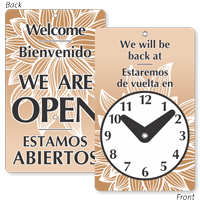 • 7.75 inches x 4.75 inches plastic sign comes with a metal eyelet, attachment hook, and suction cup. Great for application on glass and lot of other surfaces. • Tear-proof sign is laminated for extra durability. • Clock hands are also made of sturdy vinyl. • Bilingual text (in English and Spanish) reaches a wider audience.